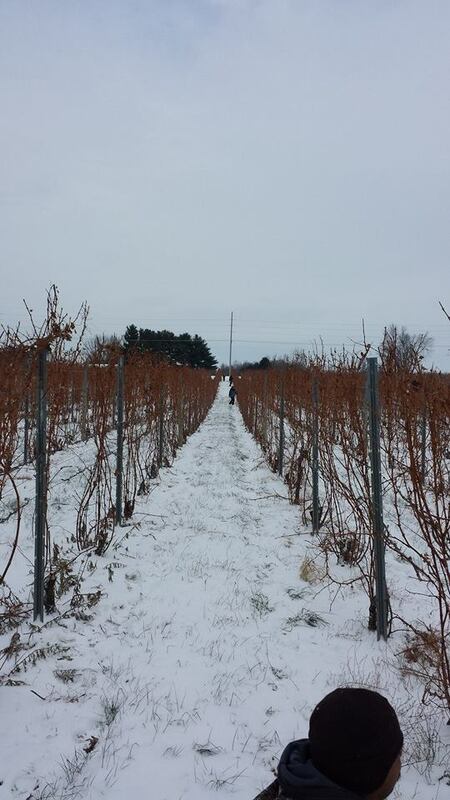 We can’t stress enough that wine is made in the vineyard, which is why our vineyards are so important to us. 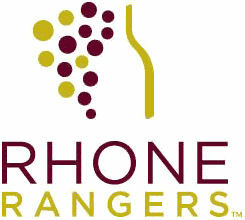 Domaine Berrien Cellars is an all estate winery. What does that mean? It means that all of our wines are made only from grapes grown in our vineyards and that all of our winemaking and bottling takes place right here on site as well. This gives us the control over the grapes and we make decisions all during the growing year that maximize the quality (not quantity) of our grapes. This gives us a higher probability of producing the most premium wines. 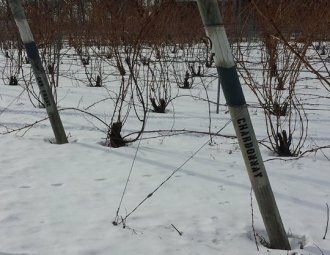 Our unique site located on one of the highest points in Berrien County, within the Lake Michigan Shore AVA growing region, provides what can be the ideal climate for outstanding wine grapes. The extended growing season and gentle ripening contribute to the characteristics of quality and complexity in our wines. Located on southerly facing hillsides ranging from 900’ to 800’ of elevation, our vineyards are trellised in a north/south direction to provide even sunlight on both sides of the vines, and hold the sun’s heat to allow better ripening of the grapes, especially for red wines. 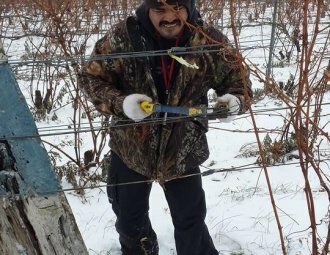 Spring in the Vineyard: Spring is a busy time in the vineyard – lots of pruning and clean up and renewal for the growing season ahead! 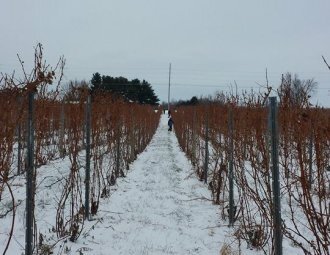 Grapevines are similar to rose bushes, in that the vine (or bush) stays alive from year to year but last year’s old growth up in the trellis needs to be pruned back each year in order to encourage new growth for the coming year. 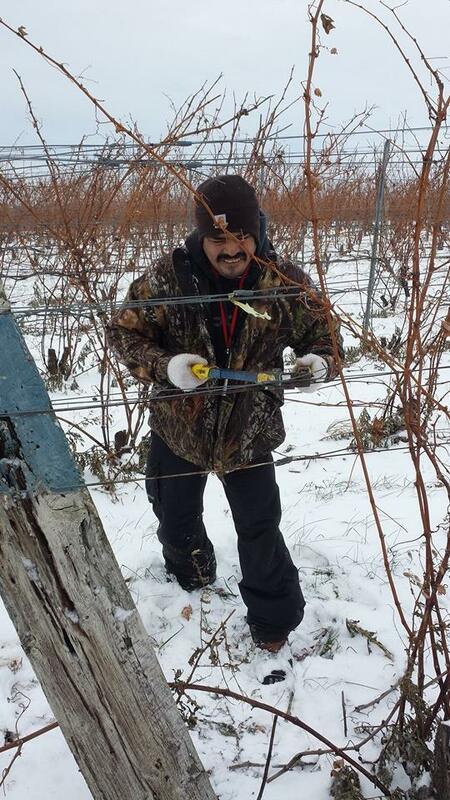 After we prune the vines, we collect the dead vine cuttings and remove them from the vineyard to avoid spreading any disease/mold spores that might be hiding there. 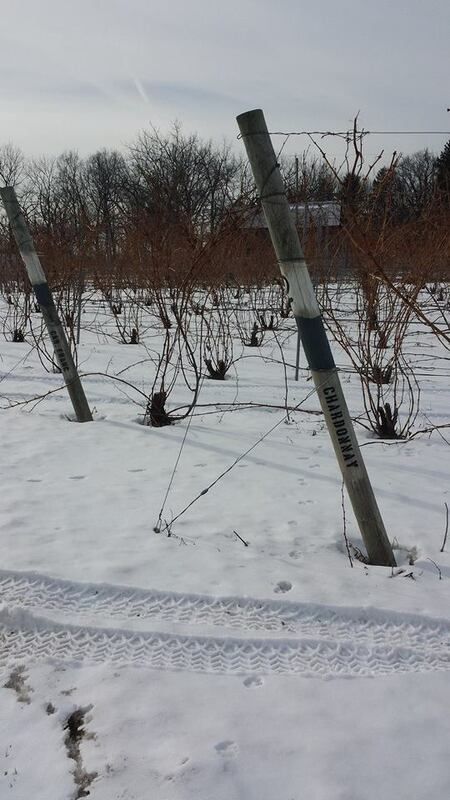 Once the grapevines have started budding out, our greatest enemy in the vineyard is late spring freezes, which can kill or severely injure the new buds. This threat is usually past by mid-May.